The Indian traditional wear brand Shyamal & Bhumika has made its debut in Vancouver, Canada, at the city’s new boutique, House of Raina. Shyamal & Bhumika, the brand launched by the husband and wife team Shyamal and Bhumika Shodhan in 2003, has come to Canada. The latest Shyamal & Bhumika collection, including bridal couture, is called 'Mystical Garden' and showed at the spring/summer edition of Lakmé Fashion Week. Bridal pieces from this collection are now available at Vancouver’s House of Raina alongside bridal wear from other Indian design houses. House of Raina opened in Metro Vancouver in February this year and was launched by the mother daughter duo Rita Johal and Raman Johal. 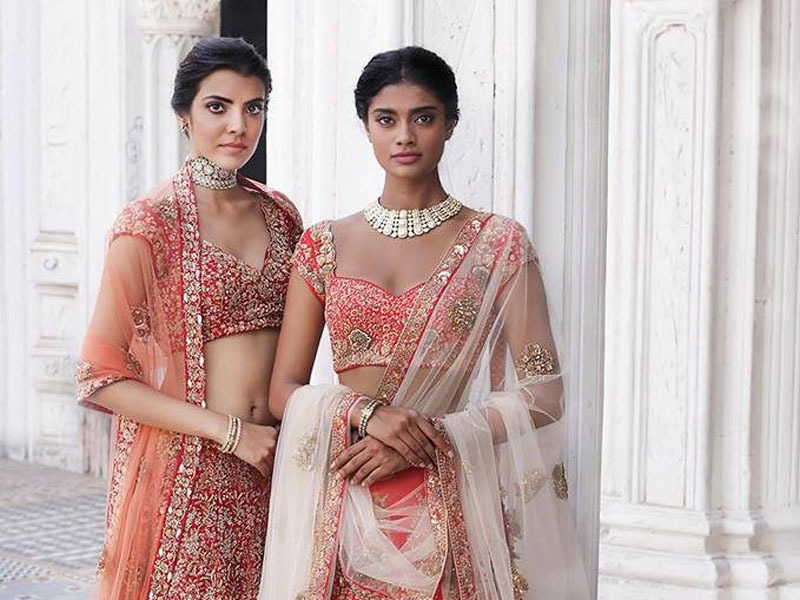 The duo saw a lack of Indian traditional bridal wear in the city, which surprised them due to the large South Asian population, and they decided to bring in an array of Indian designers for local brides to be. Other Indian designers available at the boutique include Payal Singhal, Rohit Verma, and Tarun Tahiliani. Shyamal & Bhumika has flagship stores in New Delhi, Mumbai, and Ahmedabad and is also available in several multi-brand boutiques.